Our success is a result of a positive partnership between home, school and community. A student who is prepared for the 21st century is one who is successful in all areas of academics, fluent with technology, centered in faith, and whose character is respected by all. We provide a comprehensive learning environment which includes language arts, mathematics, science, social studies, music, art, and foreign language. A new computer media center supports a child’s 21st century needs in resource management. Students at The Basilica School benefit from a caring, professionally trained faculty which is staffed by religious and lay teachers certified with advanced degrees in all areas of education and related courses. With small class sizes and diversified learning programs we are able to provide an intimate, nurturing, and positive learning experience for our students. 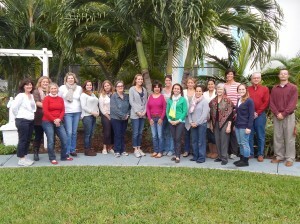 Our school is fully accredited by the Florida Catholic Conference Accreditation Program, one of the oldest and most influential Catholic accreditation programs in the country. The Basilica School offers a high-quality, Catholic education where values, achievement, and discipline are integral parts of the academic environment. We have a history of long lasting and enduring friendships, faith, academic excellence, and integrity. Enroll today for a lifetime of success! See more pictures of our school and grounds HERE.